On Saturday Ally and I had a last-minute opportunity to see the musical, The Wizard of Oz. What a sophisticated story with so many hidden meanings! Indeed age, time and experiences create new opportunities and perspective, though. Dorothy lands from the “black and white” Kansas into the very colorful Oz, having victoriously killing the Wicked Witch of the East. She realizes she is in a very different place…a place she’s never experienced. Empowered with special ruby slippers, she sets off to meet the all-powerful wizard who is going to help her get back to Kansas. Along the way she meets a few friends who have different requests of the wizard: the scarecrow wants a brain (intelligence), the tin man a heart (so he can love), and the lion, some courage. When they finally get to the Emerald City and meet the wizard, after having carried out his request to kill the Wicked Witch of the West, they discover he is just a fraud and that everything they had been searching for they can find within themselves. Does this sound at all a little too close to home? Have you ever had this happen? You think the world (loved ones, bosses, friends) doesn’t understand you, so you run away. In your attempt to find a pot of gold, you discover the grass isn’t greener on the other side of the rainbow. 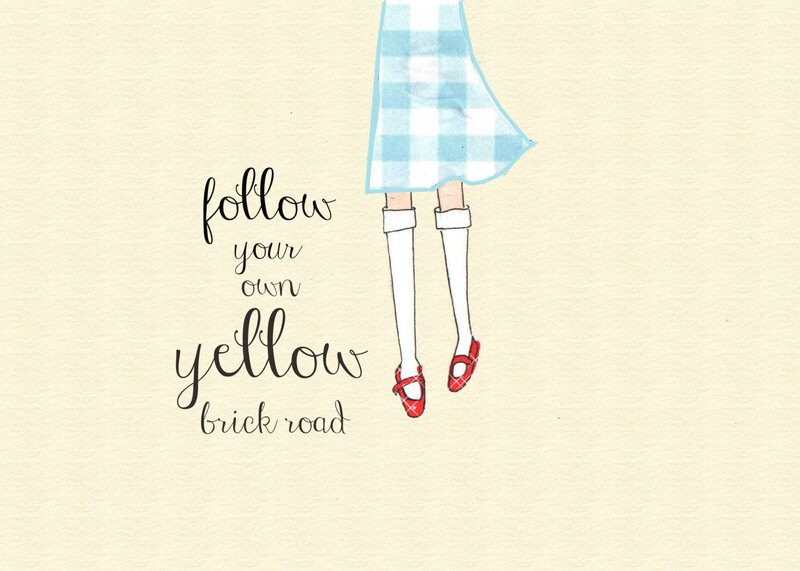 To find your way, the yellow brick road to the answer can take a while, and it takes the right combination of intelligence, heart, and courage to find it. When you get to what you think is the answer, you discover it isn’t rocket science. In fact, it’s simpler than you made it out to be. You just needed to believe in yourself and leverage your power of your own self-worth to find what you were looking for. The Wizard of Oz penetrates straight to the deepest insecurities of our inner child: someday we all grow up to be adults, home no longer exists, and our parents will be no help because we must face the challenges of life on our own. We meet people along the way, who may be able to help us out but even the most powerful people we rely upon (The Wizard himself) are seriously flawed. This is kinda close to home for me. My parents didn’t teach me that they were not super humans. I used to think my parents could do no wrong. For me they were powerful and all knowing. They never said they were wrong. In fact I remember thinking we had the perfect family and life. When they divorced in 1990, it crushed me creating a deep fear I didn’t understand then. If Mom and Dad didn’t know how to make this thing called “life” work, how will I? It took a lot time to develop my own courage to face this fear. It meant I had to accept them as human. It meant they were just older versions of themselves trying to find their way in this yellow brick road of life. And no, they didn’t have all of the answers. They were inadequate. We all are. And most of all, it meant I had to grow up and figure it out and take my own yellow brick road knowing I’d have enough brains, heart and courage to sort it through. 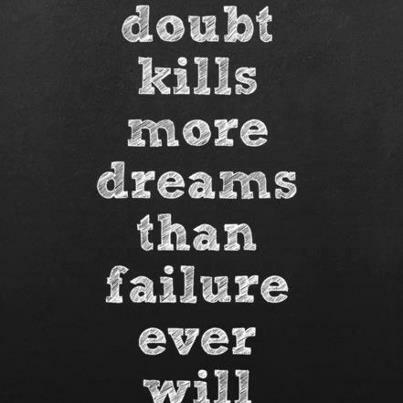 Remember, doubt kills more dreams than failure ever will. Trust and invest in the best stock: YOU. You already have what you need to find your way. Now just go!